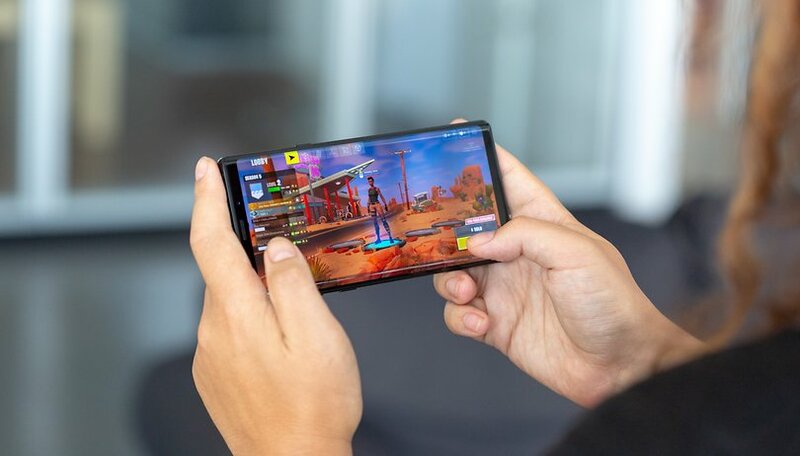 The long wait for many Fortnite players with Android smartphones has come to an end, because now everyone can download the Battle Royale game, install it and start playing immediately. Only the minimum hardware requirements could stand in your way. Fortnite for Android review: worth the wait? About two months ago, owners of a Samsung Galaxy Note 9, Galaxy S9 or S9+ were allowed to throw themselves from the Battle Bus onto an island and rumble, Battle Royale-style. All others could only look at these Samsung owners with envy. A few weeks later, Epic broke the exclusivity and allowed selected players access to the Fortnite for Android Beta. That still left a lot of Fortnite fans waiting for their invitation. But now the wait is over, because Epic Games has announced via Twitter that the beta is now open to all Android gamers from now on. Which smartphones are compatible with Fortnite for Android? What is Fortnite's system requirement for Android? First download the Fortnite Installer from the Epic Games website, as the game is not available from the Google Play Store. If you're on Android Oreo or later, you can start the Installer and get a prompt whether to allow the installation from outside the Play Store. If you have an earlier Android version then enable the installation from unknown sources in the Settings>Security>Unknown Sources. Should the installer be patched in the future, you will have to reactivate this setting again. Will you install Fortnite or do you prefer to keep your gaming on PC or console? Any early invitees here? I'm wondering how much space the install takes up and if the game is really playable on a phone.